Adventureland feels like one of those forgotten gems that no one ever really gave a chance because expectations set it up as something else. It was director Greg Mottolla's follow-up to Superbad and we all expected more of the same, but Adventureland was a more personal journey-slight, but precise and really is worth a re-watch. 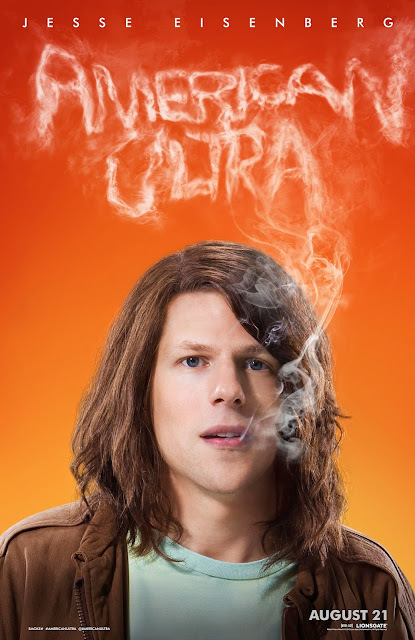 All that is to say that it's good to see Jesse Eisenberg and Kristen Stewart on screen together again, this time in something of another stoner comedy. Penned by American Werewolf in London, Animal House and Blues Brothers director John Landis's son, Max, and directed by Project X helmer Nima Nourizadeh the film is a hard-R comedy about a stoner who is set to propose to his girlfriend and play out a typical existence in their sleepy, small-town when everything goes nuts after being disrupted by a past Eisenberg's character didn't know he had in the form of a government operation that subconsciously made him a secret agent. Combining multiple, seemingly opposite genres has always been a way to generate something fresh feeling and this first red-band trailer certainly does that for this film. It seems only yesterday I considered Eisenberg the lesser of he and Michael Cera, but since The Social Network Eisenberg has continued to prove the more versatile actor of the two. While he can certainly handle dramatic material and even has a flair for the outrageous and rather confident roles that wouldn't seem to fit his personality his roots seem to have always been in comedy. Those muscles look as if they're being stretched quite nicely here and I can't wait to see this late-summer stoner comedy that should be good for plenty of laughs if not something a little more substantial. 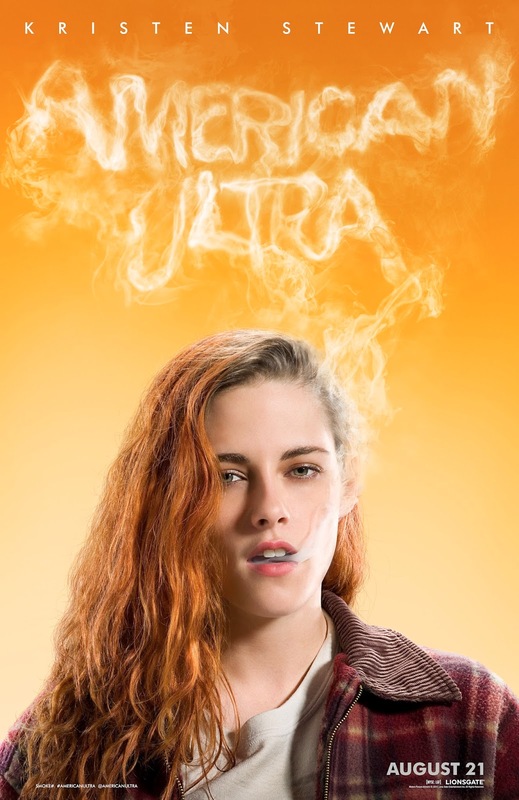 American Ultra also stars Topher Grace, Walton Goggins, Connie Britton, Bill Pullman, Tony Hale and opens on August 21st. Synopsis: A stoner and his girlfriend’s sleepy, small-town existence is disrupted when his past comes back to haunt him in the form of a government operation set to wipe him out.